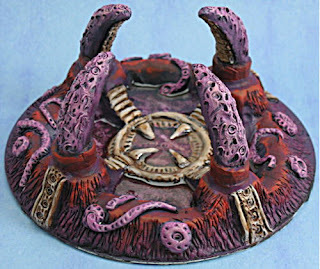 Tyranids hold a special place in my heart, they were my very first 40k army, but they also hold a special place in my scenery makers hearts as well. The thing is, Tyranids are the only army in the 40k universe that effect the terrain of the planet they're invading. 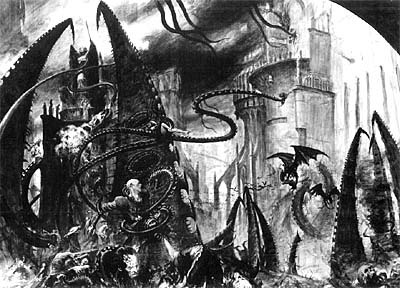 Yes, Orks will mess the place up and an Inquisitor can have a drastic effect on a planet with a single exterminatus order, but tyranids really do change the battlefields we wage war on. When Tyranids attack a planet, their goal is to consume the entire planet, not capture it. They want the lot, from the grass on the ground to the oxygen in the air. To get the most they can, they seed the planet and cause all the planet life to grow at a rapid rate as part of the initial attack. This means that grasslands become dense jungles and even concrete cities get overgrown. As the attack continues, digestion pools form with spires shooting upwards to carry the nutrients to the waiting hiveships. 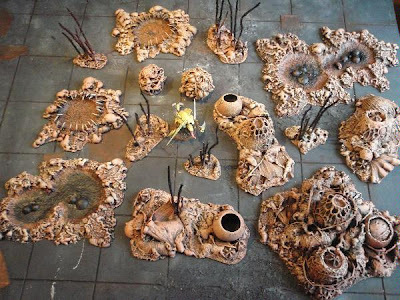 All this gives the terrain builders and tyranid players so much to work with when it comes to building Tyranid themed terrain. 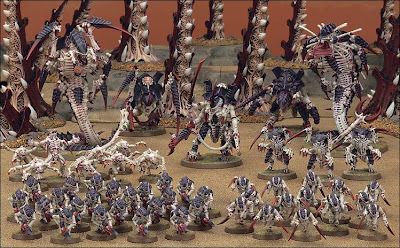 So, in this weeks Warzone Wednesday, we're going to be having a look at some of the excellent tyranid terrain that can be found on the net. First off, we've got some amazing Forge World Tyranid pieces along with some scratch built stuff painted by Senji Studios. The images below can be clicked on to see the larger version. 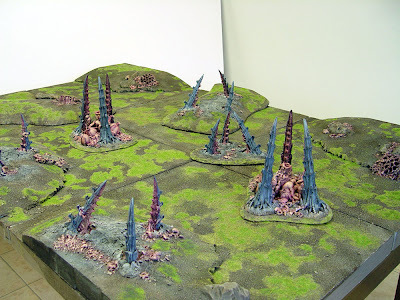 Next up we have this great scratch built tyranid themed terrain done by Alex Kolodotschko. 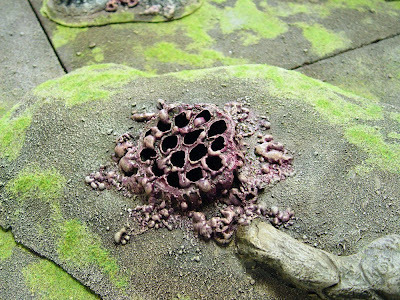 Here's an alien drinking hole from the excellent ChicagoTerrain Factory, you've got to love the vivid colours. 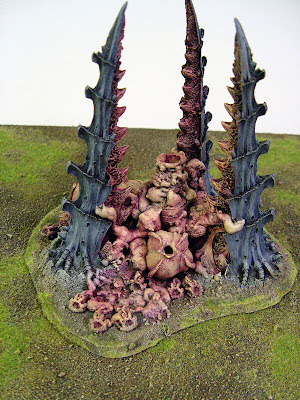 Well, I hope these have wet your appetite, I'll be bringing you a simple tutorial on how you can make your own Tyranid themed terrain in the coming week or so. Brilliant stuff, and quite disturbing! This is fantastic terrain. It almost makes me wish I still had my tyranids. Great stuff. Must admit, it is nice stuff guys.